The top nuclear commander in the US says he would resist any “illegal” presidential order to launch a strike. 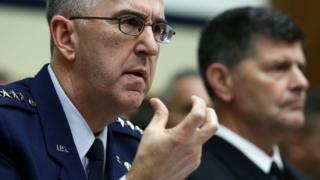 Air Force Gen John Hyten, said as head of the US Strategic Command he provided advice to a president and expected that a legal alternative would be found. 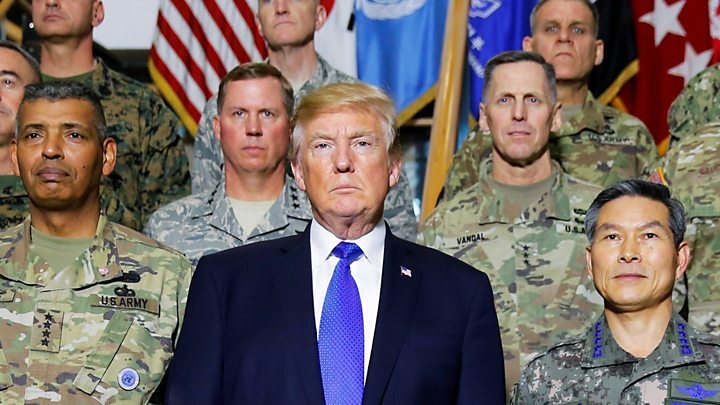 Media captionWould the US military disobey a nuclear order from President Trump?